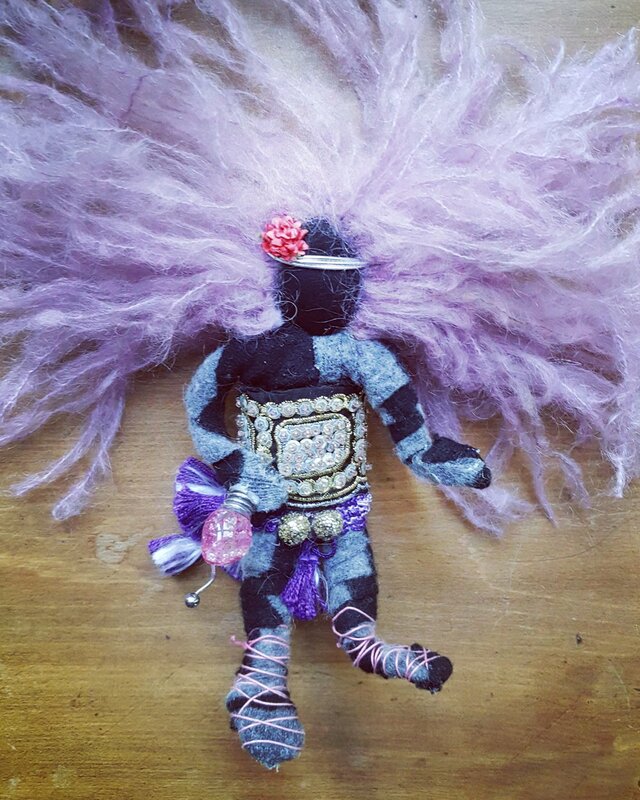 I make folk-art dolls using old clothes, wool, jewellery and other recycled odds & ends. Over the years I've enjoyed making dolls for friends and loved ones to mark significant milestones and experiences in their lives. I'd be happy to make you a doll. Contact me for details. I had so much fun making this dollie for Mavis' 5th birthday! I love her reversible skirt and sassy attitude. I made this little guy for my beloved step-father Walter when he was struggling with cancer. Walter Loved purple and I loved him. I made this doll for my friend Kathryn Aitken in 2011. Kathy is an incredible women who's been instrumental in co-creating the Transition NDG network. She inspires me with her dedication to creating community resilience and her gift of bringing people together. 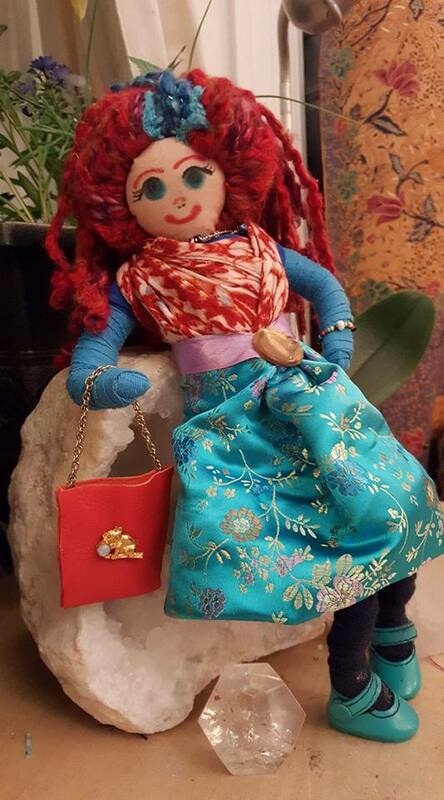 This doll was made for a dear friend's mum. The painting on the left is a miniature version of the first painting her mum ever made. An ode to her artistry to mark her 90th birthday. This dollie was made with love for ENN. The color purple combines the stability of blue with the fiery energy of red. Purple is the color of peace, wisdom, magic and independence. The amethyst stone on her heart encourages the healing process. May this doll bring love and light. Take a peak at my studio….